Welcome to this year’s penultimate Coffee Spot Awards Shortlist, the Brian’s Coffee Spot Special Award, won last year by Greenhood Coffee House. This is a special award for those Coffee Spots which don’t quite fit into the other categories, but which nonetheless I absolutely love… It’s also a chance for me to recognise and reward those wonderful Coffee Spots that I come across during the year and which mean something special to me. 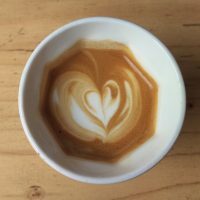 It’s been 18 months since I visited Seattle’s Slate Coffee Roasters, but the experience still rates as one of the best I’ve had. Slate Coffee Roasters is also shortlisted for the Smallest Coffee Spot Award. Liverpool’s Neighbourhood Coffee stands out for the impressively bad (or good, depending on your perspective) puns used to name the coffee. However, that shouldn’t detract from excellent coffee that Neighbourhood roasts or from the work that it’s doing to build a market for speciality coffee in Merseyside. Neighbourhood Coffee is also shortlisted for the Best Roaster/Retailer Award. Opening a speciality coffee can be daunting enough when you do it in a city centre, surrounded by other speciality coffee shops and where there is a proven market. 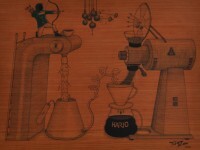 It’s another thing altogether to open one in the suburbs and to build your busy up, one cup of coffee at a time. 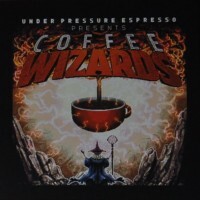 Under Pressure Espresso is also shortlisted for the Most Unlikely Place to Find a Coffee Spot and Best Cake Awards. I no longer do the Where It All Began Award, for which the Intelligentsia branch in downtown Chicago was a shoe-in. Instead, it has a spot here as a key part of my journey into speciality coffee, one which started at Intelligentsia’s marble tables before I even knew where I was going! Intelligentsia is also shortlisted for the Best Cake Award. 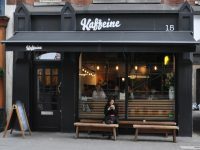 The more I learn about Kaffeine and its founder, Peter Dore-Smith, the more impressed I am. The attention to detail that’s gone in Kaffeine’s second branch is stunning. Sadly it’s this sort of thing that also most often goes unnoticed. Kaffeine Eastcastle is also shortlisted for the Best Lighting Award. Copenhagen’s Prolog Coffee Bar is one of a new generation of coffee shops and roasters that are appearing in the city, building on the success of the likes of the Coffee Collective and Democratic. 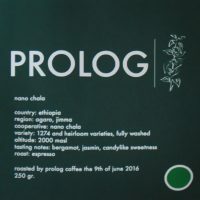 What impressed me most about Prolog wasn’t the coffee (which was excellent), but everything else that went with it, including the service, the food and all the other little touches the Prolog make. 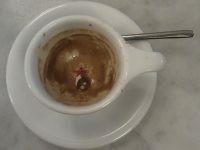 Great coffee in restaurants is a revolution waiting to happen. Lyle’s, in the heart of Shoreditch, is perhaps a blueprint for how to go about it, with a standalone coffee bar providing diners with great coffee after their meal, but also serving coffee to those who’ve just popped in for coffee. Lyle’s is also shortlisted for the Most Unlikely Place to Find a Coffee Spot Award. There is a special place in my heart for those who make coffee outside, serving up excellent espresso in all weathers, usually with a cheery demeanour. Since for me a large part of my coffee experience is the cafe, I don’t visit nearly enough of these outdoor coffee warriors, so this is for all them really. Rag & Bone Coffee is also shortlisted for the Best Takeaway Coffee Award. 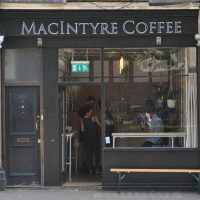 I visited the previous branch of MacIntyre Coffee, took my photos, made my notes, went to write it up and the landlord kicked MacIntyre (and everyone else) out of the building. Other than for the excellent coffee, MacIntyre’s appearance on this shortlist is more a recognition of it having survived a visit from me! MacIntyre is also shortlisted for the Smallest Coffee Spot Award. 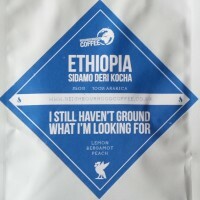 The Espresso Library is an amazing place, doing amazing things to an exceptional level. Its place on this shortlist is a recognition of that and compensation for not having been on almost every other Award shortlist. The Espresso Library is also shortlisted for the Best Cake Award. I’ve never been to Japan, home of the Ogawa chain, so I have no benchmark with which to compare its first overseas venture. 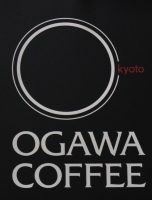 All I can say was that my visit to Ogawa, sitting at the counter at the back, was a highlight of my most recent visit to Boston. The blending of American and Japanese coffee cultures is something to behold, while the single-origin coffee tasting flight is something that I wish more coffee shops would do. The Roasting Party was started by three Aussies in Winchester. It’s gone from zero to an impressive operation in just three years. Behind a reputation as the party boys of coffee (the clue’s in the name), there is a clear focus on the coffee business and in building partnerships with the coffee shops it supplies. “Their success is The Roasting Party’s success” sums it up. 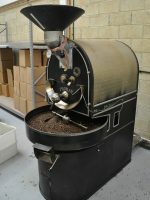 The Roasting Party is also shortlisted for the Best Roaster/Retailer Award. Have you tried ‘Pinnocks’ in Ripley, Woking. 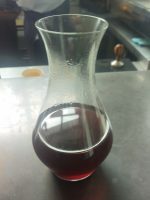 Beautiful, flavoursome, delightful coffee using the ‘drip method’, worth a try and all food is homemade….amazing cakes. Thank you for the interesting reading material, much enjoyable. I am aware of it and one day I will finally get to Ripley (which, I admit, is not very far from Guildford) and try it out.